Tim Young asserts that IMS is making a comeback in large part due to the growth of LTE. While LTE is all IP, there is virtually no support for voice, and as such, IMS has become a real contender to fill this gap, specifically as it applies to Voice over LTE (VoLTE). This trend toward increased usage is supported by a recent Infonetics Research survey, which found that 78% of respondents will have mobile-specific services deployed over IMS by 2013, a significant increase from 35% today. The analyst firm also identified the desire to offer converged services and deploy LTE as key IMS growth drivers. When IMS first entered the industry, some critics noted slow carrier interest and grew skeptical of its longevity. Now years later, do you think this renewed carrier interest foreshadows a promising future for IMS? A Pyramid Research report predicts that the Colombian government’s plan to increase broadband access and the adoption of smartphones will fuel data growth throughout the next several years. The government wants to quadruple the number of Internet connections in the country to 8.8 million, and is putting special emphasis on the availability of infrastructure for broadband coverage. This plan, along with handset vendor competition, more spectrum availability and decreasing smartphone prices, is expected to maintain Colombian telecom market growth. This view reinforces predictions that Latin America will see broadband penetration skyrocket over the next five years and the amount of subscribers increase to 150 million-plus. Managing these new customers and services will be critical, and OSS/BSS will certainly play a significant role, allowing the region’s communications service providers (CSPs) to focus on their core business. August marks the tenth year since GSM was introduced in Nigeria. GSM made telephone access available to everyone, eliminating the age-long dominance of the wealthy on telephone use. But, the most prominent result of GSM can be seen in the tremendous growth of subscribers, rising from 450,000 fixed lines in 1999 to 90 million active lines, fixed and mobile, today. This figure is expected to rise even higher to 118 million mobile subscribers by 2014. As IDC analyst Andy Hicks notes, developed market telcos can learn from the achievements of CSPs in emerging markets such as Nigeria. These include aspects like offering compelling services and real-time solutions, as well as identity management. What are some telecom trends you’ve seen in emerging markets that others can draw inspiration from? Today, we announced our intention to sell to Cisco the Axioss software, originally developed by Axiom Systems, which Comptel acquired in 2008. This deal, which is worth EUR 21.3 million, is estimated to close in September 2011. Comptel will continue in the fulfillment business, developing and selling the Comptel Fulfillment solution. Comptel and Cisco will also continue in their cooperation across other areas of OSS/BSS, e.g. cloud mediation and charging. Comptel originally acquired Axioss in order to strengthen our position as a leading provider of fulfillment solutions for broadband, mobile and next-generation IP networks. Our strategy remains unchanged. We have been busy working on the next release of our fulfillment solution, based on a new technology platform, which will be released in the first half of 2012. Comptel will also retain its existing Axioss customer relationships and will continue to support these customers. As part of the deal, Cisco is also taking on some personnel related to the Axioss assets, mainly those based in the U.K. Mr. Gareth Senior, Comptel’s CTO and member of the Executive Board, will be transferring to Cisco. As you can imagine, we are very excited about this deal. In my opinion, it underlines our technology leadership in the OSS/BSS domain. What Can Developed Market Telcos Learn from Emerging Markets? By this point, most of us know how dramatically mobile communications have affected the emerging markets, bringing services and information to people who previously had only tenuous links to the larger world. Mobile payments have brought elementary financial capabilities to millions of people formerly dependent on cash. Newly available information on markets, agricultural practices, government services and health have also eased and enriched users’ lives. Communications service providers (CSPs) are offering discounts based on the current usage of individual base stations, stretching their customers’ money and taming network congestion. The speed of development in emerging markets leads some commentators to proclaim that we live in an era of “reverse innovation,” where things happen first in developing markets and then are exported to mature markets. I’ve never liked that term, which both flirts with condescension and seems to ignore the fact that, from the beginning, the work that went into most of these services occurred in markets developing and developed alike. But what of the central point? Have telecoms in emerging markets produced products or practices that could improve the business of CSPs in the developed world? At first glance, maybe not. Mobile networks in Sub-Saharan Africa can double as point of sale networks because thereias no established competition, and because regulators are willing to grant them some leeway in order to extend financial services to the unbanked masses. In the developed world, telecoms networks will never supplant the established clearinghouses. Instead, the industry is focussing on enabling Near-Field Communications (NFC), which, in turn, require a level of infrastructure rarely found in emerging markets. And probably the industry’s biggest worry—competition with over-the-top players— has been a non-issue in emerging markets, since few people can afford data subscriptions. Basic pocketbook issues have meant that in low ARPU areas, it’s a 2G revolution. Compelling services are real-time services. Given the predominance of prepaid in emerging markets, it’s no surprise that real-time capabilities are so prominent. The dynamic tarriffing I referred to above relies on real-time analytics and discounts to direct users to less-trafficked cells. In developed markets, a few CSPs are experimenting with similar capabilities for their data networks, both pre- and post-paid. Usability is even more important than you think. Everybody mentions Apple when they want to talk about design, but when your transport is SMS and some of your user base is illiterate, making your tasks lightweight, universal and fool proof is a necessity. 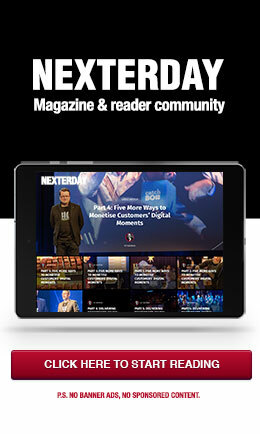 Developed world users flock to well-designed functionality as well. And optimizing communication between the client and the data centre is still very much an issue in telco services. Identity management is a key telco asset. If anything, it’s even more important in developed markets, where the telco has less of a natural place in payments value chains and where fraud can produce much higher damages in absolute terms. When NFC availability depends on vendors and the transaction is cleared by somebody else, the ability to certify a user is a natural capability of the CSP—until OTT players capitalize on foot-dragging to take over that function, too. There are almost certainly others. Think of it this way: emerging market CSPs are running smart pipes over voice/SMS. Anybody in carrier IT can draw inspiration from that. Andy Hicks covers telecom software, services, and business strategies in EMEA, with special focus on emerging markets, at IDC. Currently, he is focussing on the IT-ification of telecoms, the increasingly complex services market they compete in, and the work of multinational groups to rationalize their operations across borders. According to Juniper Research, mobile data delivery costs could go up to $370 billion by 2016—a sevenfold jump from $53 billion in 2010. The analyst firm reported that mobile network operators can reduce costs with Wi-Fi network build-out, femtocells and network sharing initiatives. Juniper also suggested that mobile network operators in developing countries transition to renewable energy for off-grid networks. The bottom line though: data usage is outpacing operators’ revenues. This only continues to underscore the need to strike a balance between encouraging service use, controlling resources like bandwidth and ensuring maximum payback. Policy control gives operators the levers to manage mobile data delivery and monetise the services. Did you know that it costs about five to ten times as much to acquire a new customer as it does to retain an existing customer? As Alcatel-Lucent’s Vincent Kavanagh notes, unfortunately, “money talks”— and most companies typically end up incorrectly distributing their marketing spend. They’ve also ignored the fact that happy customers have proven to stay longer and spend more, and not made customer experience management (CEM) a priority. Luckily, operators are paying greater attention to CEM. They are being increasingly conscious of customers’ time and interacting with them more over multiple channels including social media. One important area that they have yet to tap into though is their OSS and network data, to gain a holistic view of subscriber activity. By doing so, operators can open up a myriad of possibilities and turn them into something that can be monetised. IDC survey results have shown that 14.5 percent of Latin American companies with more than 100 employees have implemented cloud services. This is nearly three times more than in January 2010, and the market is expected to continue this steady growth pattern, reaching 69 percent in five years. It’s exciting to see barriers to enterprise cloud adoption like security and performance management being broken down, much like Comptel demonstrated through several TM Forum Catalyst initiatives. Customers are the most important part of a Communication Service Provider’s (CSP) business; after all, if a CSP doesn’t have any customers, they don’t have a business. Therefore, your customer experience strategy must reflect how important they are to you. 1. Emotions: Decide what emotions you are trying to invoke in your customers, and design an engaging customer experience around that. Colin Shaw, founder of Beyond Philosophy believes that the process of turning customers into advocates has to be thought through—what does it mean to make them an advocate? What would it take to make them one? 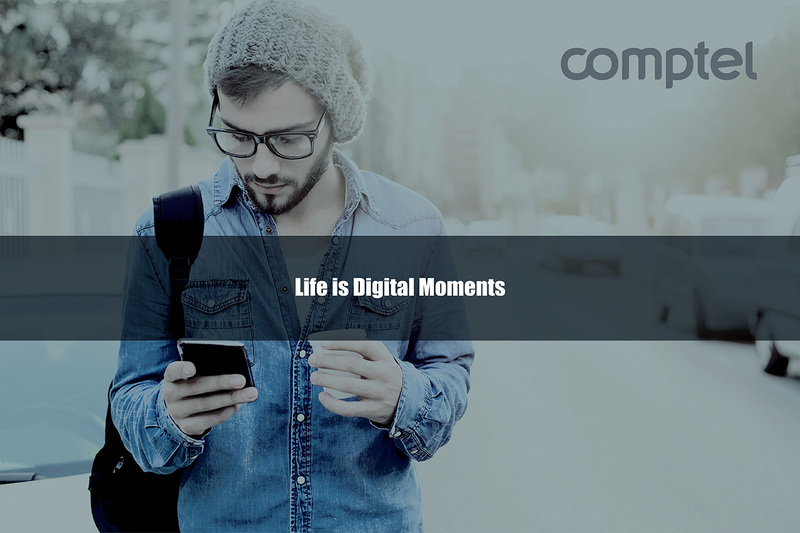 According to Comptel’s CTO office director, Greg Scullard, the details of every event or transaction in customers’ lifecycles are key to winning hearts, minds and wallets. 2. Advocacy: Encourage advocacy by working toward a long-lasting customer relationship. 3. Engagement: Actively seek out what services or actions will make your customers happy. Think about what your customers want and what they might require from you. For example, are they increasingly setting up smartphone plans? If so, one core desire will likely be fast data / Internet access. Olivier Suard, marketing director at Comptel, explains that operators need to go the extra mile and be more interactive with their customers. By leveraging their OSS and network data, they can develop a complete picture of their customers’ behaviours, which will enable them to proactively engage with them, anticipate problems and ensure their satisfaction. Likewise, be sure to listen to customers’ feedback. Subscribers are increasingly turning to social media as a customer service tool. Karl Whitelock, director, OSS/BSS business strategy, Stratecast agrees, finding that “what is most striking today is the speed with which customers react through social media. If a customer has a bad experience […] there can be a movement of thousands of others demanding a more equitable solution in just a few hours.” As mindsets change, so do the channels that customers want to be engaged through—be sure to listen and take note. 4. Switch Focus: Change your mindset from being ROI-driven to being customer focused, and the ROI will come naturally. Fifty percent of the customer experience is based on how the customer feels, explains Shaw. Relaying this message and integrating it into the way a company operates can be a challenge, especially when the overarching mindset is focused strictly on ROI. Because of this, he believes, it’s important to put yourself in the customers’ shoes. And over the past two years, , CSPs have really tried to focus on investing in customer care and driving brand loyalty rather than simply pushing products. 5. Never Be Satisfied: Keep going back to the drawing board and ask yourself if there is any way to further enrich or improve your customer experience. Take, for example, Orange FT Group’s customer experience strategy. Every time a new product or service is launched the company maps out its customers’ journeys to try and understand what customers will want and what their needs are. In conclusion, if you want your customers to be loyal, and thus maximise revenue, work on your overall customer experience strategy. It goes a long way in portraying to your customers what kind of relationship you are hoping to build with them. For more information on this topic and to listen to the original interviews, please visit www.customerexperienceevent.com.